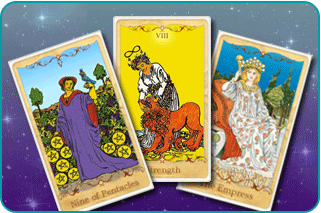 Strength has been drawn in the present position for this week’s Tarot Forecast. 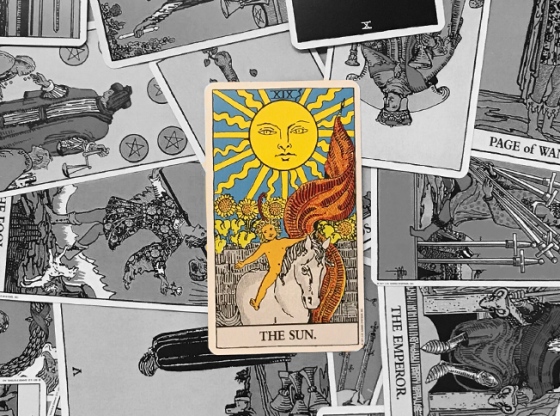 It is surrounded by the Nine of Pentacles in the past position, and The Empress in the future position. Strength applies to the present, the moment you are reading this article, especially as it relates to the weekend of September 17, 18 and 19. 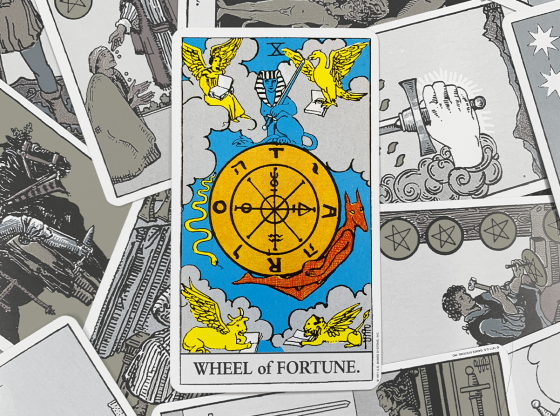 This card will get you through tough times and establish you as a force to be reckoned with in the future: but first, let’s look at the foundation upon which the present is built: the past. 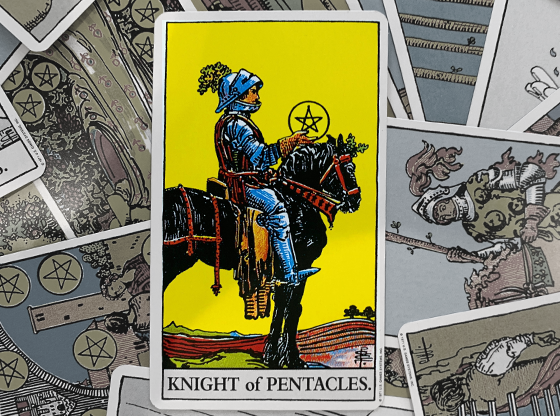 The Nine of Pentacles is a card of being peaceful and content, but to the point of becoming irritated and feeling trapped in all the pleasant surroundings. This card pictures a woman parading around in a garden with an exotic bird and an expensive ring, but the hedges of the yard hold her in and the expensive trinkets make a prison. 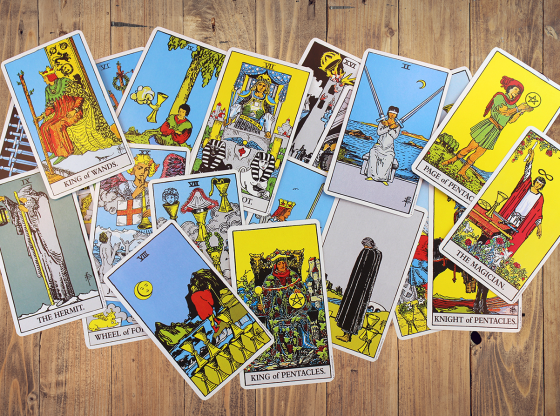 If you have been around someone who is ruled by his or her possessions or you yourself are going though a financially trying time, you might be looking at the material world in a negative light. This card can also signal escapism into material possessions. Are you avoiding reality as you collect valuables? 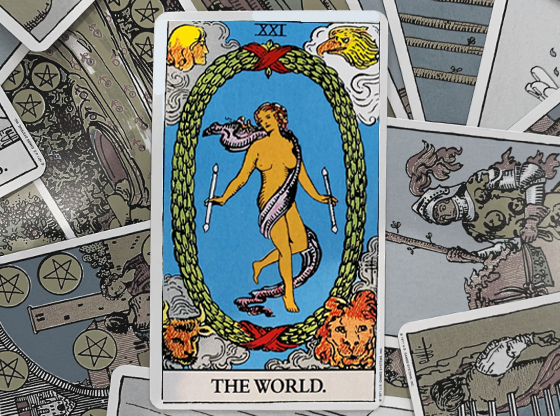 Even when things are going well, this card emphasizes a decorated world without love, as the lavish surroundings and dress cannot hide the fact that the character in the card is alone. Everyone is unique and this card applies to each of us in individual ways to describe the recent past. Examine your relationship to the material world and how your spending on nonessential items may be removing you from the enjoyment of everything else that the natural world has to offer, free of charge. Materialism and boredom keep you away from your imagination. In realizing that the best can be made of your present situation, you take control without attempting any dominant maneuvers. 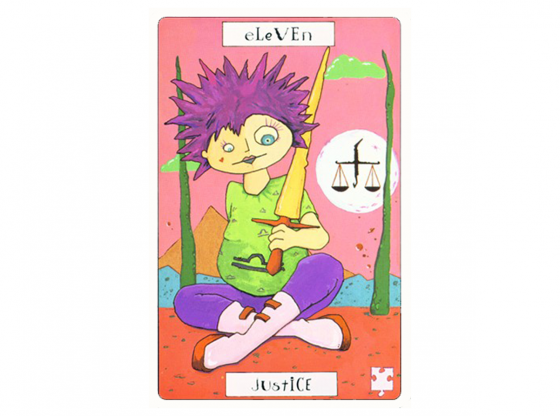 Strength is the Tarot’s illustration of taking charge of a situation in a casual way. The woman who is petting the lion is not aiming to kill the beast. She is massaging away any aggression he might have. At this very moment, your ability to know what needs to be done is your greatest asset. 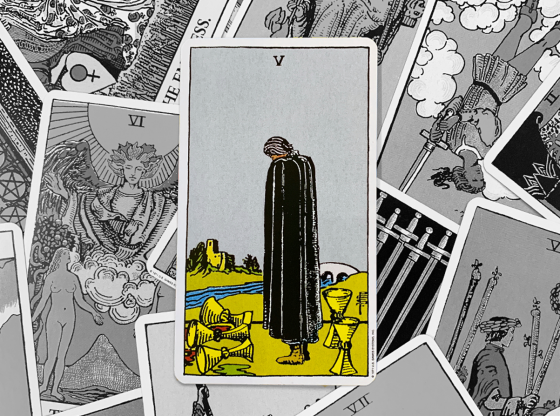 After the boredom of the Nine of Pentacles, you are at peace with at least having a plan. This gives you patience as well, a hallmark of the Strength card. The materialism of the recent past fades into the background. There was an emptiness there that got you nowhere as endlessly acquiring possessions is a dead end. The Strength card allows you to give instead of take. The only thing you take is control, and nobody even notices. In being patient, you will reach a calm state faster, and from that place you can rationally analyze what is going on in your life. The moment you are living in right now is about taming the lion in your life. To look at the situation with too much emotion will cloud your vision about what needs to be done. As you get calm and remain in a state where your emotions submit to logic and reason, you will find that others around you are much further from control than you are. Your present situation is greatly assisted by a calm demeanor because you can have a great influence on those in your immediate sphere. Instead of being passive with your material possessions, you can be active in getting others to work with you. Your powers of persuasion are such that you can calmly get much work done by engaging people who can see the benefit of completing something. Once you gain a small sense of control over the present, you will be able to put up with setbacks quite easily. In a matter of hours you can develop an intense resolve. Others around you will see the leader they seek and the Lion that had roared and dominated will beg to be petted in the presence of such focus. The Strength card is the Tarot’s way of telling you that a little inner peace can make this moment matter to many people. As the week goes on, your untapped Strength flows out to resolve problems and advance your cause among the people around you. You will begin to feel abundance. 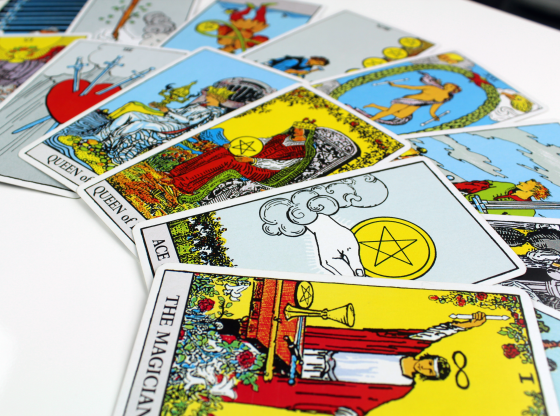 It might have a familiar ring to it, as the Nine of Pentacles had lots of material success associated with your recent past. But this time it feels more substantial. The near-term future looks bright ahead. 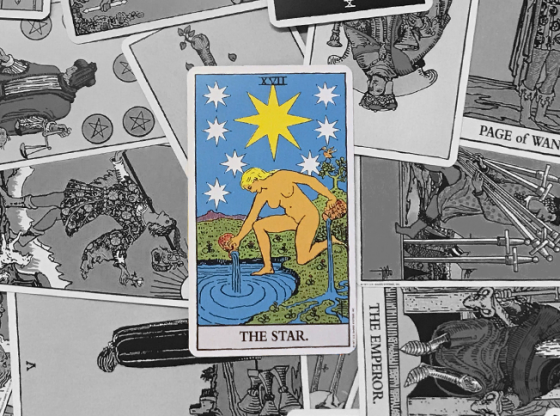 The Empress in the future position indicates that you can break away from the control your material possessions have over you without having to give up your material security. There is an evolution happening in your life over a short period of time. This reading indicates that your consciousness is about to be raised and a new level of contentment and happiness are arriving. The Empress is a card that emphasizes nurturing yourself with all the good things in life. 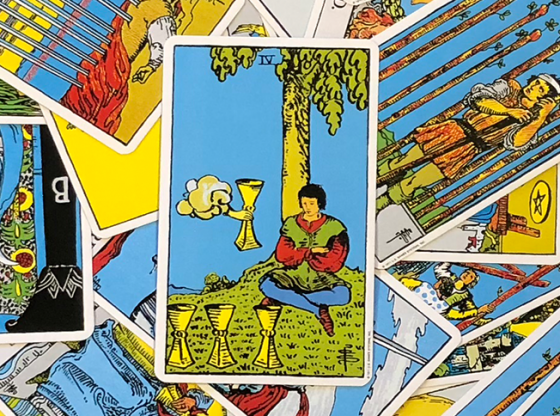 While there is a material relationship to the world represented in this card that is similar to the Nine of Pentacles, there is also a higher level of consciousness about your place in the world outside of your possessions. The Empress has a love of the finer things in life, but also has a need to “keep it real” … so simply showing off a designer label and assuming you will be accepted is a thing of the past. This is a card about getting the best because there is at some level, a deserving of the best in your life. Whether all of these good things were earned through good karma or purchased with good credit, there is a purpose coming to your life in the near future. This is a powerful reading that requires an honest assessment of your life and a leap of faith about making a difference in the world. Something about you that was superficial is going to be removed and when you can take control and give back to the people whose lives you affect you will create abundance for yourself and those around you.